In a recent podcast appearance, actor/director Kevin Smith teased a big effects driven sequence in his latest Supergirl episode. This is my fourth episode. I love doing them because I think Melissa is very special, very sweet f*cking kid, like just the real light center of the universe and stuff, it’s nice to be around that energy and I like all the people that work on the show and whatnot, they’re all buddies at this point. But I think they have me back all the time because unlike every other director on the show like when we wrap I give out wrap gift t-shirts, you know, ’cause you do that in the movie business. You wrap the move, you’re like ‘here’s a f*cking t-shirt!’ Everyone gets a t-shirt and sh*t.
There’s some cool sh*t in it, too. The fifth act of those shows, The CW shows, that’s generally where the big thing happens, aka where they spend the most money. And so, in act five of this episode we have a sequence where they spent a lot of money that I’ve never seen in anything before and I can’t take credit for it, I’m not like ‘I f*cking did it’ because the visual effects company, they’re going to accomplish it. We shot little pieces of it and stuff, but it’s a kind of cool concept that I never thought of. As the guy who was like I want to make a movie, my first movie, I guess I’ll set it here at a convenience store cause this is easy and I work here and sh*it like, never imagined they’d hand me a script with like ‘make her do this’ and I was like holy sh*t.
From the sound of things, The CW is sparing no expense with the Girl of Steel. Keven Smith is probably best known for his work on the View Askewniverse films which includes Clerks, Chasing Amy and Dogma but he has had extensive time in the CW Arrowverse as well. In addition to the four Supergirl episodes that he has mentioned, Smith has also worked on three different Flash episodes since 2016. Whether or not he will direct anymore remains unknown. What do you all make of this news? 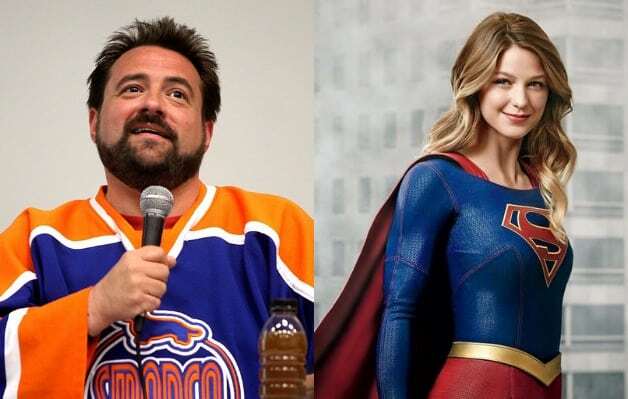 Are you all looking forward to the big money sequence that Kevin Smith is teasing for Supergirl? Let us know what you think in the comments below!